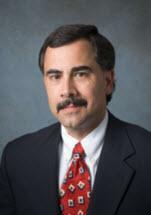 David N. Deaconson joined the firm in September, 1986. Prior to joining the firm, Dave was assistant district attorney in McLennan County. He received his Bachelor of Business Administration degree from Baylor University in 1981 and his Juris Doctor degree from Baylor University School of Law in 1983. In 1990, Dave was selected as the Outstanding Young Lawyer by the Waco-McLennan County Young Lawyers Association. Dave is a Fellow of the Texas Bar Foundation. Primary areas of practice include Litigation in State and Federal Courts, Commercial and Employment Litigation, Personal Injury Litigation and Municipal Law.